If you love what fresh herbs can do for food, you can still keep that flavor at hand and satisfy your cravings when you grow them indoors. 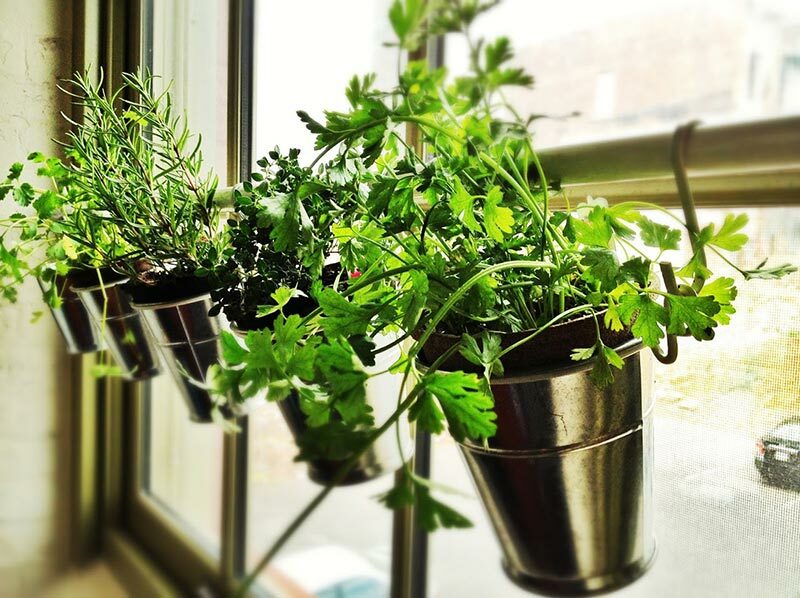 There are a surprising number of herbs that will thrive as indoor plants. All it takes is a bright space, a few well-chosen varieties and a spirit of adventure. To ensure success, it’s usually best to start with healthy plants rather than seeds, especially at this time of year. Established plants put you months ahead (sometimes even a year) compared with plants started from seeds, plus they offer you a wide range of varieties for growing indoors. You’ll need a bright space, such as a large sunny window, a sunroom or a room with skylights. Choose a location with temps between 55 and 75 degrees with good air circulation. The area next to a window may be too cold for some herbs in winter. Most culinary herbs grow best with at least five to six hours of bright light; mint, parsley and chives do fine with four to five. Keep in mind that natural light is more limited and less intense in winter. 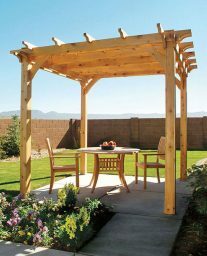 Other factors to consider when choosing your location are nearby trees that cast shade, a roof overhang or a patio roof. If plants start to look leggy you may need to move them to a location with more light or supplement with grow or fluorescent lights. 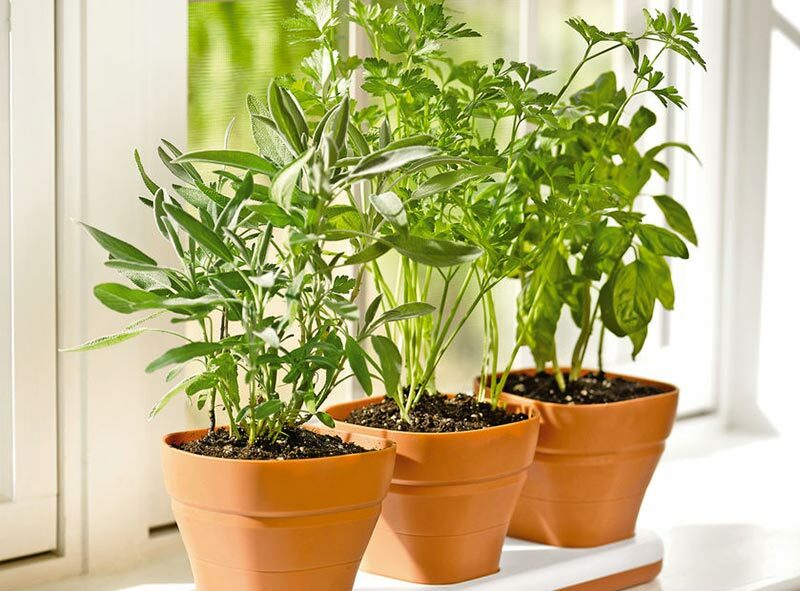 Almost any pot or container at least 6 inches or larger can be used for growing herbs as long as it has drainage holes. Choose the largest pot possible to provide more room for growing roots, which will give you a bigger plant to harvest from. Use a fast-draining potting mix as garden soil will compact in containers and smother plant roots. Look for a premium mix that includes lightweight ingredients such as perlite or vermiculite to help loosen and aerate the final mix. Water needs will vary depending on the size and type of plant, the size and type of container, and the time of year. Plants are dormant or growing less actively during winter when light levels are lower and therefore require less water. Allow the soil to dry slightly for most herbs; keep the soil slightly moist for basil, chives, mint and parsley. The best way to tell when a plant needs water is to stick your finger one inch into the soil. If the soil feels dry, it’s time to water. Once herbs start actively growing in spring, you’ll need to feed them with a liquid fertilizer every four weeks. Or, organic fertilizer granules that you scratch into the soil surface every other month can be used instead of a liquid fertilizer. Keep your indoor herb garden growing strong by checking plants each year and replacing those that are short-lived or have become woody. 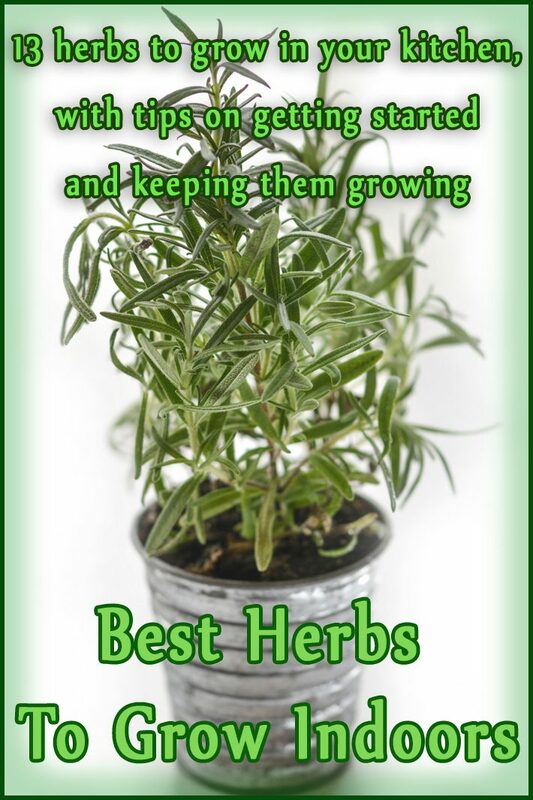 And don’t forget the best part, which is harvesting and using your indoor herbs. 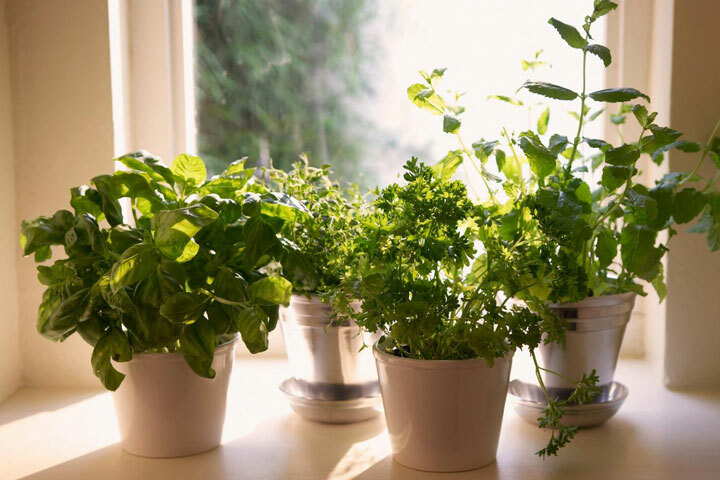 Herbs grown indoors are usually less productive than outdoor plants, but they’ll still give you plenty of fabulous flavor for your favorite dishes. 1. Basil (Ocimum basilicum): Grow as an annual or short-lived perennial. 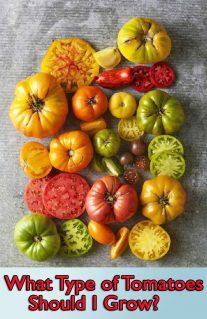 Try ‘Genovese’ for classic aroma and flavor; ‘Lemon’ for a hint of citrus; ‘Spicy Globe’ for compact growth (8 to 10 inches tall); or ‘Siam Queen’ for unique, spicy flavor. 2. Bay (Laurus nobilis): Grows slowly at first but will eventually form a bush or small tree that can be easily trained into formal shapes or a topiary. Get a head start and purchase a young 1- to 2-foot plant. 3. Chervil (Anthriscus cerefolium): Also known as French parsley, this annual is similar in appearance and taste, with delicate overtones of anise. To harvest, snip the outer leaves and stems, or gather a bunch of sprigs together and cut off an inch or two above the soil. 4. Chives (Allium schoenoprasum): A grasslike perennial herb with a delicate onion flavor. ‘Grolau’ chives is a prolific producer for windowsill growing. Garlic chives (A. tuberosum) has a mild garlic taste. Cut small bunches of leaves back to the soil level when harvesting to keep new ones coming. 5. Cilantro (Coriandrum sativum): Also known as Chinese parsley, this short-lived annual has a distinctive parsley/sage/citrus-like flavor. Best started from seed. Grows quickly, but once harvested it does not regrow. Extend your harvest by growing three pots at different stages (seeded, intermediate growth and ready to harvest). 6. Dill (Anethum graveolens): Aromatic annual best grown for its leaves when grown indoors. Sow several pots at different stages (like cilantro) for a continual supply. ‘Fernleaf’ dill is a compact variety ideal for growing indoors. 7. Marjoram (Origanum spp. ): This Mediterranean native belongs to the oregano family, but its flavor is distinctively sweeter and more delicate. Sweet marjoram (O. majorana) is often grown in pots indoors; Italian marjoram (O. x majoricum) is similar but with an exquisite blend of sweet and spicy. 8. Mints (Mentha spp. ): Peppermint (M. x piperita) and spearmint (M. spicata) are good choices for growing in pots. ‘English’ mint is a well-behaved variety of spearmint. Be sure to give mint its own container as it can easily overtake other herbs. 9. Oregano (Origanum vulgare ssp. hirtum): Greek oregano delivers true authentic oregano flavor, growing to 12 inches in pots; ‘Kaliteri’ (O. vulgare ‘Kaliteri’) is a Greek strain that is spicy and flavorful without being too bitter. Harvest leaves often to encourage new growth. Oregano remains productive for up to two years and should be replaced when plants become woody. 10. Parsley (Petroselinum spp. ): Both Italian flat-leaf (P. crispum var. neapolitanum) and curly-leaf parsley (P. crispum) excel when grown indoors. The Italian variety of this biennial herb is often favored for its robust flavor. Cut the outer leaves when harvesting. This will spur new growth from the center and keep parsley remaining productive for several months or more. 11. Rosemary (Rosmarinus officinalis): This perennial comes in both trailing and upright forms. ‘Blue Boy’ is more compact than regular rosemary. 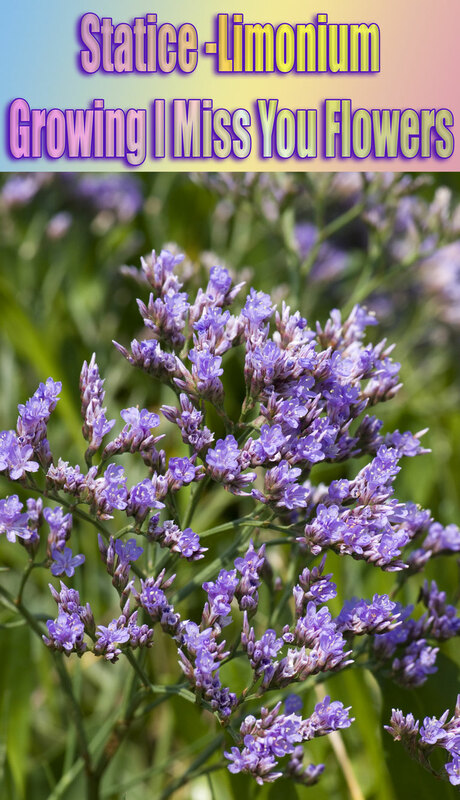 For best flavor, choose a more compact upright variety such as ‘Taylor’s Blue’ or ‘Salem.’ Even though rosemary enjoys drier conditions, it’s imperative that the soil is never allowed to dry out completely or the plant may die. 12. Sage (Salvia officinalis): For container growing, try 12-inch-tall dwarf sage (S. officinalis minimus), or nonflowering ‘Berggarten,’ a vigorous but compact low-growing culinary strain. Dwarf garden sage (S. officinalis ‘Compacta’) offers the same flavor as garden sage but grows only 10 inches high. 13. Thyme (Thymus spp. ): Lemon thyme (T. x citriodorus) and French thyme (T. vulgaris ‘Narrow Leaf French’) are excellent culinary varieties. Change it up with creeping ‘Oregano’ thyme, with its great thyme flavor and oregano undertones.